Reveals the war as a wrenching social revolution fueled by racial hatred. 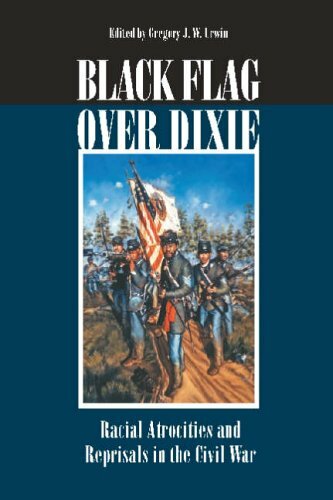 ""Black Flag over Dixie: Racial Atrocities and Reprisals in the Civil War"" highlights the central role that race played in the Civil War by examining some of the ugliest incidents that was played out on its battlefields. Challenging the American public's perception of the Civil War as a chivalrous family quarrel, new and previously published essays by twelve rising and prominent historians show the conflict to be a wrenching social revolution with bloody excesses exacerbated by racial hatred. Twenty photographs and a map of massacre and reprisal sites accompany the volume. The contributors are Gregory J W Urwin, Anne J Bailey, Howard C Westwood, James G Hollandsworth Jr, David J Coles, Albert Castel, Derek W Frisby, Weymouth T Jordan Jr, Gerald W Thomas, Bryce A Suderow, Chad L Williams, and Mark Grimsley. .